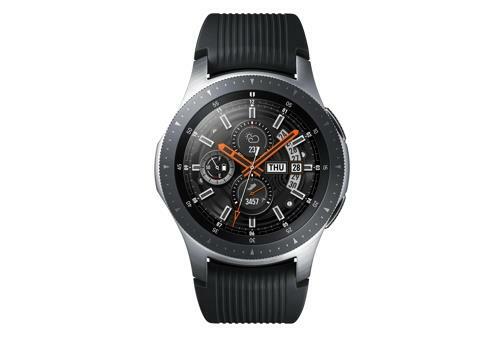 SEOUL, Aug. 10 (Yonhap) -- Samsung Electronics Co. on Friday showcased its first smartwatch with the Galaxy Watch name, which boasts better healthcare-related features and a sleeker design than the preceding Gear brand. The South Korean tech giant, which held a showcase event for the Galaxy Note 9 in New York, also introduced the hotly anticipated Galaxy Watch. Samsung said it decided to change the name of its wearables from the previous title, Gear, to Galaxy as it wished to deliver the same experience as Galaxy smartphones through its latest devices. "We plan to continue the unique tradition of Samsung Electronics' Galaxy even in the wearable segment," said Koh Dong-jin, who heads Samsung's IT and mobile division. "The Galaxy Watch is a product that delivers optimized experiences for every lifestyle by reflecting the needs of customers." The Galaxy Watch will be released in three versions, namely silver-colored 46mm edition, along with 42-mm version which will come in black and gold. Maintaining the round-type design, Samsung said the new devices can deliver ticking sound to make them feel like actual watches. Samsung Electronics said the 46mm edition can run for 80 hours on average, or up to 168 hours if it is set to minimum power mode. 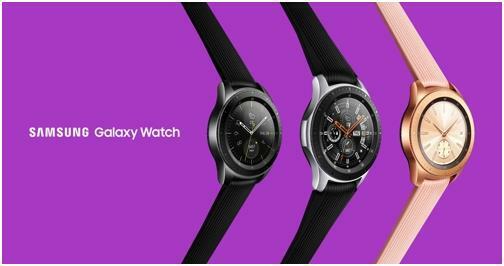 The 42 mm edition can function for 45 hours on a single charge. The device's heartbeat sensor can analyze users' sleeping patterns and provide tips to improve one's habits. The latest smartwatch can keep track of 39 exercises, including running, walking, and cycling. It can also assist users with indoor activities, including push-ups or deadlifts. The Galaxy Watch runs on Samsung's Tizen operating system and comes with the Bixby voice-assistance program. It is the original version of Bixby, not the updated version used on the Galaxy Note 9. Samsung said Corning's Gorilla Glass DX+ make the Galaxy Watch more scratch-resistant. It is 5-ATM waterproof certified, and users can wear the device even when swimming. Samsung said it plans to release a variety of wrist bands, including those made under cooperation with Switzerland-based Braloba, to help users customize the smartwach. The new wearable devices will hit the global market on Aug. 24 along with the Galaxy Note 9. The price is estimated at 300,000 won (US$268).